Hello! World today in this tutorial I will tell you how you can set up a custom domain in blogger? The process for adding a custom domain in blogger is very easy but it seems difficult to some of newbies because they have never added a custom domain in Blogger.When I was a newbie I also had faced many problems in adding it.I didn’t knew about DNS management.I was only given a written guide but that did not result helpful for me because the tutorial was only in text without images and I was not provided with a video too.So after searching on the internet by trying new ways I finally added it.So for beginners I am making this video tutorial so that they can not face any problem in adding it. Now the main question that comes into our mind is why should we have it? You should have a custom domain for your blogger blog because after adding it your blog looks professional and people like to read it. You should have it because 80% of people from search engines like to go to .com extension sites while 20% of people like to go to .blogspot blogs.Now you can clearly feel the difference. Domains are SEO friendly and you can get a good rank in search engines with a low period of time. You can build more trust if you sell things on your blog. Url of your blog will be shorten and it will be easy for people to remember your site. Which Domain Registrar Is Reliable And Cheap? Now let me come to the point that from which domain registrar we should register our domain? According to me GoDaddy and Global Hosting Service are the best. Global Hosting Service: It is a pakistani hosting website which offers domains and hosting.It is the cheapest domain hosting website in Pakistan and is #1 in our post: Top 5 Cheap And Reliable Hosting Companies In Pakistan If you dont have a Paypal account then use it because you can send them money using Eaisypaisa. How Set Up Domain In Blogger Using DNS Management? 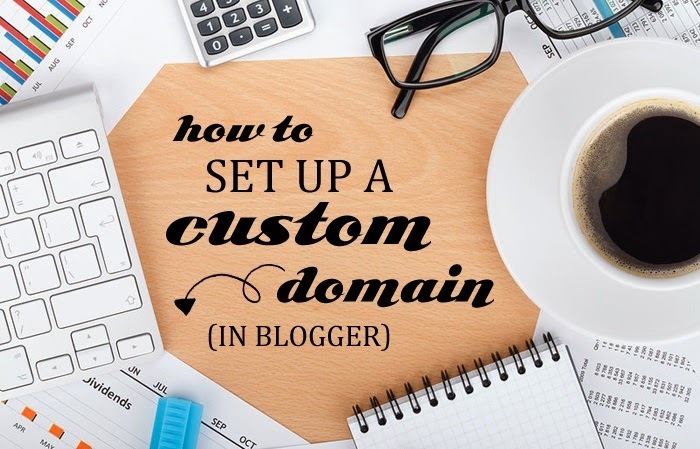 Setting up a custom domain in blogger is really a headache for newbies because they dont have any experience with it and the process is different for each domain hosting site.Now let me tell you how can you add a domain in blogger? Now you have watched the video tutorial so I hope that it would have resulted helpful for you.Please if you have any question regarding this tutorial let me know in comments.I will try my best to solve your problem.Further ask your domain name provider if it is a big issue.They will help you out using their online support! Dont forget to share this video tutorial with other bloggers so that they can get help from it! Previous articleHow To Create Email Forwarding Account Using Your Domain Name? Thanks Fahad bro keep visiting my blog!